The staff was very nice. The breakfast was 3 jd and was good. The only thing nice about this hotel was the staff was friendly. The staff was friendly and offered a variety of meals and programs for anyone who is interested. The location of the hotel is good, close to many restaurants, shops, ATMs. Good price. Staff was very nice people, who can help you with any questions, they really good. 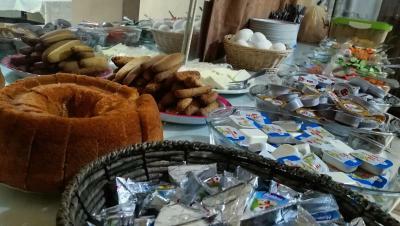 Breakfast was good for it's price. Nice roof where you can relax seeing the city's view. Very helpful and kind staff. There are restaurants, banks and market shops near the hotel. The staff were all fantastic! They made me feel like family as soon as I walked in the door. Nassar made recommendations for the best ways to spend my time and helped make arrangements for me. The warmth of Nassar and the staff made up for the chill in my room. :) Sunsets and dinner on the roof were a perfect end to the days. Great location! Good location. 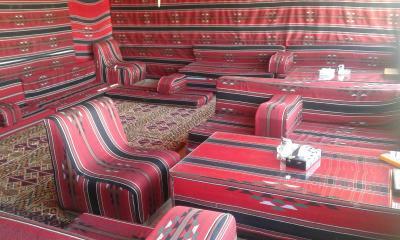 About 20 Mon walking distance from Petra, or a taxi ride for 1 JD. Heating in the room. Friendly staff. Hot water. Comfortable bed. Owner was really nice, he was very helpful and we felt very welcomed in this hotel. 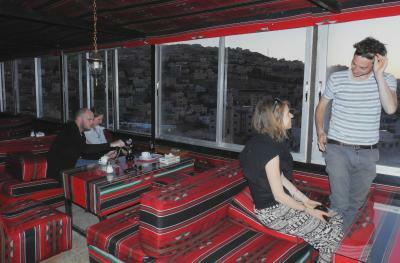 He helped as with planning our visits to Petra and finding best restaurants in town. Great location and view from hotel. 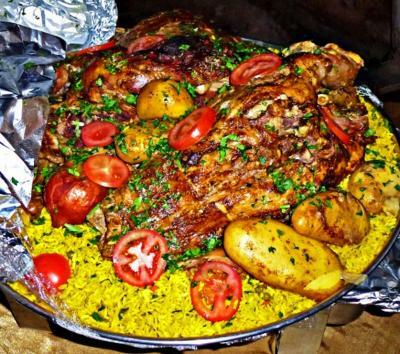 Hot water all day,central heating at night,filling breakfast (extra cost) good receptionist,able to book wadi rum,shared taxi, bus etc. speaks English. 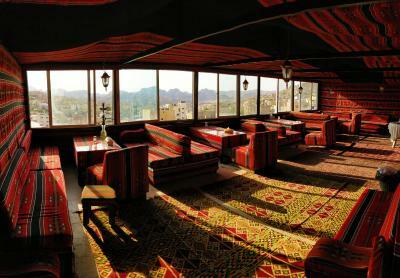 This hotel offers a covered roof terrace and rooms with private facilities. 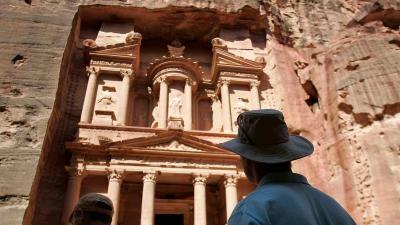 There is a free transport service to Petra Gate and its visitor’s center, a 5-minute drive from the hotel. 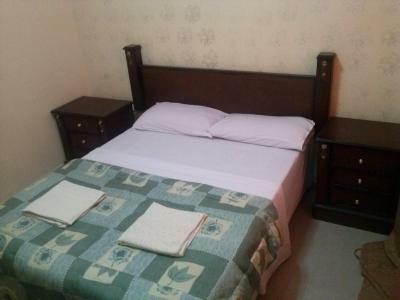 With free Wi-Fi, all rooms at Petra Gate Hotel feature a fan and heating. 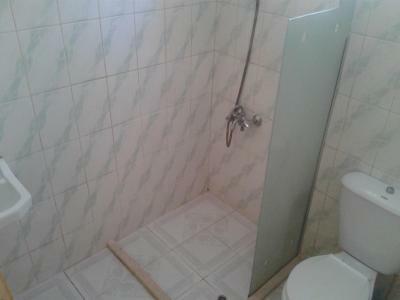 Each private bathroom is equipped with a shower. Guests can enjoy their morning breakfast on the terrace, and relax afterwards by smoking some traditional water pipe. 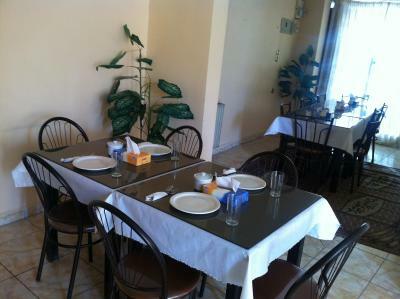 The restaurant serves local dishes and an open buffet. 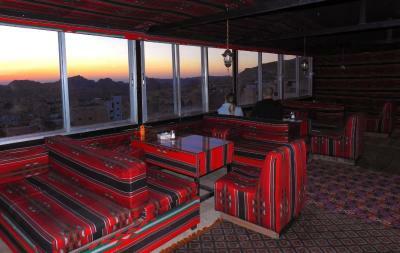 The 24-hour reception staff at Petra Gate will provide guests with a complimentary cup of tea upon arrival. 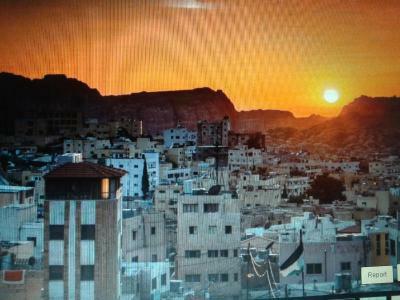 They can also store luggage and recommend bus transportation to Wadi Rum and Amman. When would you like to stay at Petra Gate Hotel? 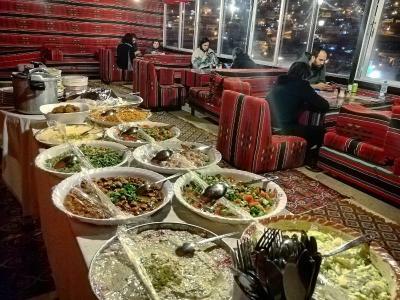 our hotel located at the city center of wadi Musa and at the same street to site of Petra , easy to Walk to the gate if you want , 10 minutes only , if you want to see the really life of the Jordanian ppl ,, then come and stay at our hotel. 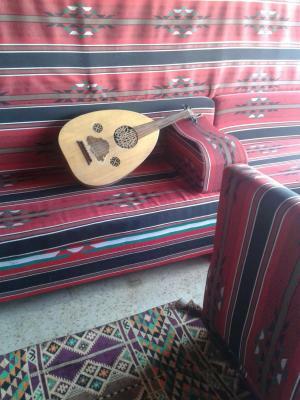 House Rules Petra Gate Hotel takes special requests – add in the next step! The hotel needs renovation in general. Not many places to park near the hotel, cause it's on a really busy street. 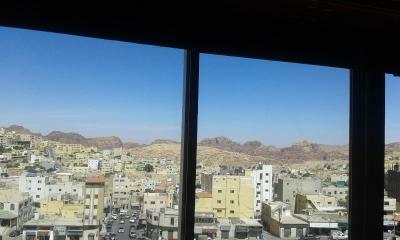 Close to Petra, nice early breakfast, nice facilities and nice staff and beautiful view. Hotel is old, ragged and shabby, lousy bathrooms & water pipe system...; shuttle service is non existing. Accommodation is more on the level of a rather modest hostel than a hotel. 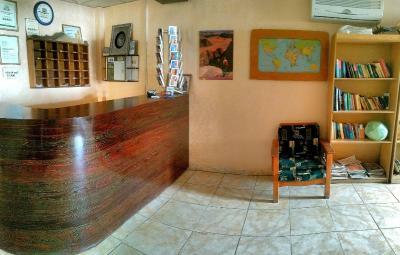 Receptionists and all staff were very helpful, but pictures DO NOT correspond the reality! It was a terrible experience, I was there with my wife and 2 little daughters. The hotel is old, dirty and in a sorry state. The conditions of the beds are scary as well for one of the blankets with blood stains. 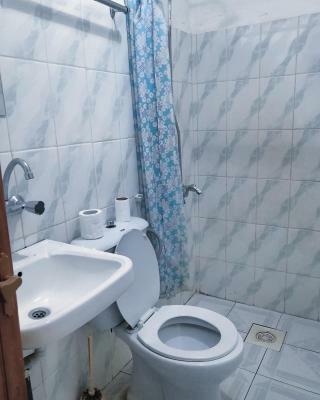 The WC in the bathroom was disgusting, shower was impossible to use due to low water pressure, as shower we used the lower tap crouched on the flor, and in any case it's flooding all over the foor. The towels that we received were strong dusty smell. Almost everything in the room was in a very bad status, also the window handle was broken. The price was really to high for what they offer, 150€ for 2 nights!! 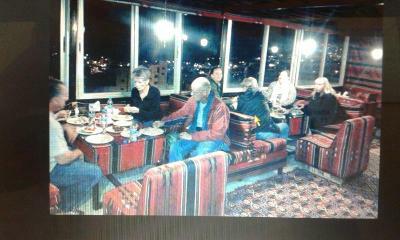 Belive me, beware of them and look for another accommodation if your are going to Petra. 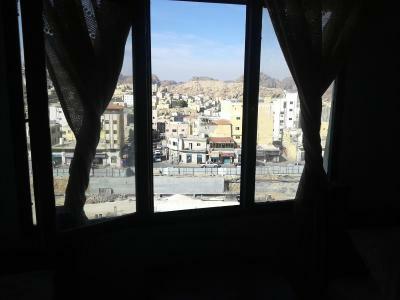 Just the view from the window of my room was nice. The room was a bit dirty. The towels seemed dirty cause they're very too much used. They were no curtain on the window. i think the bed has uneven feet that i can rock the bed back and forth while it makes squishy sound. 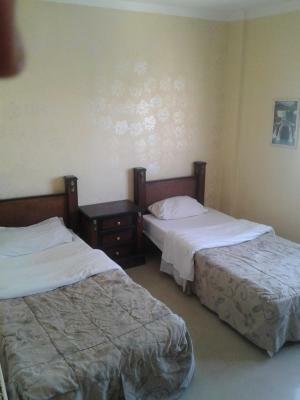 The rooms are super basic, backpackers style, which in itself would not be a problem if they were clean. But the state of dirtiness is on the verge of filthy. Shower drain full of hair, toilet not cleaned properly since last visitors, blood stains on the duvet. And because of this dirtiness everything else becomes annoying: no hot water during the day (only in the evening), shower pressure almost non existent, no hand soap. 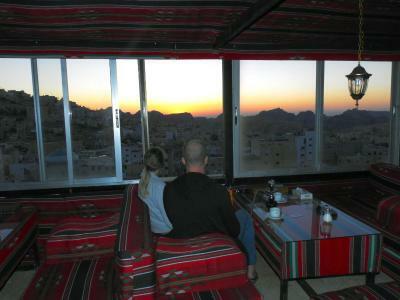 We booked two nights as wanted to spend the whole day in Petra. But when we came back from all day hiking in Petra, all sweaty and dusty my wife simply couldn't force herself to get into that dirty shower and the thought of another night in that bed seemed too much, so we literally walked to the other side of the street and booked a night at Sharah Mountains hotel (which was nice and clean by the way) checking out of Petra Gate a night too early. Obviously we did not get any refund, but we did not care to pay twice just to get out of there. Quite pleasant man behind reception desk, ready to advice on anything we asked and gave good recommendations. 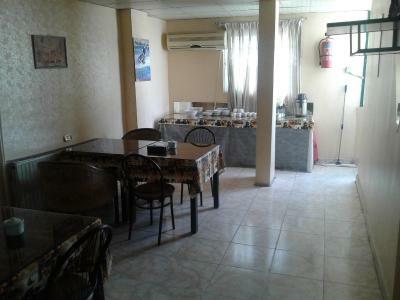 Location is good as well, close to the town centre for food and walking distance to Petra Gate. The room was really puritan, with no decoration at all (according to the "traces" on the walls there were used to be some paintings and shelves in the good old times). 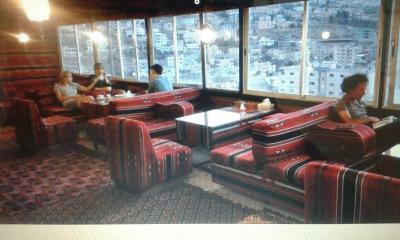 The furniture is extremely old and shabby. We couldn't completely close the window, there was always a slight gap. We had to wait a long time until the water from the shower heated up - despite that you should not be waste any water. The water pressure in the toilet is really low, but it's the same almost everywhere in Wadi Musa. The bathroom "door" (accordion door) was broken, but of course it's no big deal, in some countries you only have a curtain instead. We've seen some hair in the shower (not ours), fortunately I am not really queasy, but still it says something about cleanliness - it could be improved. 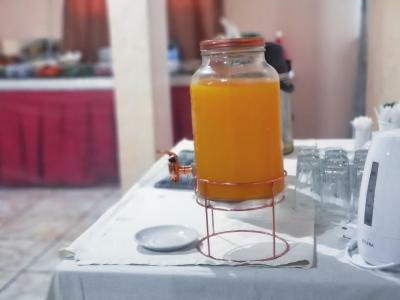 The location is really good, the shop and a few restaurants are in 5 min walk. There was always a free parking sport nearby on the road (we were there in March.) 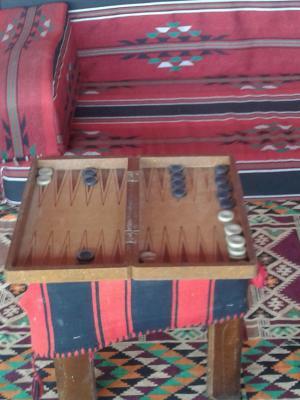 The heating was on during the nights (as I understood this is not standard in Jordan), but it was still too cold for me, but the blankets were really warm. We had hot water at night. I would say if you don't mind where do you spend the night, then it's a good choice (and if you have only limited budget). The staff was kind. 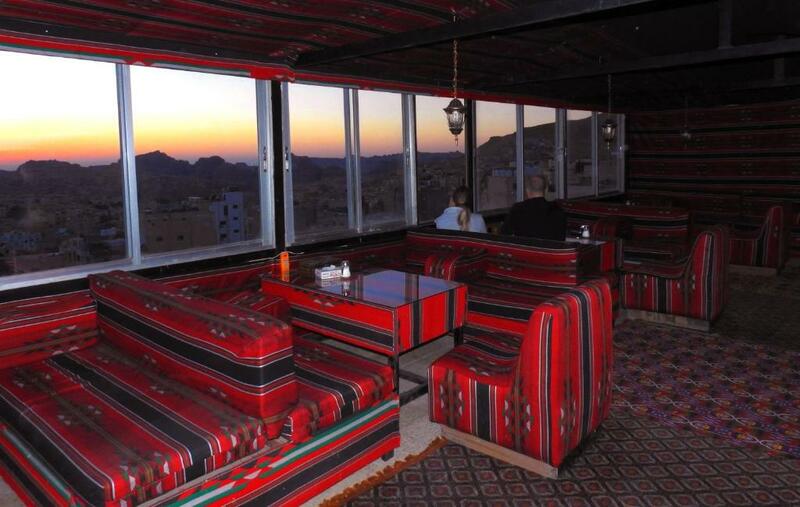 Although they tried to charge us for 2 breakfasts at check-out, but we simply said we didn't have any, and then it was all OK.
Good place for an overnight in Petra. Nothing special but good price compared to other options in the city. Staff helpful when needed. The bed covers were kind of dirty. The shower water didnt get warm. It was an old building with paint peeling. The smell and no door for toilet in the room. Staff was really nice. The place is nice if you just want to sleep or traveling with friends. Wouldn’t recommend for families or romantic couples.